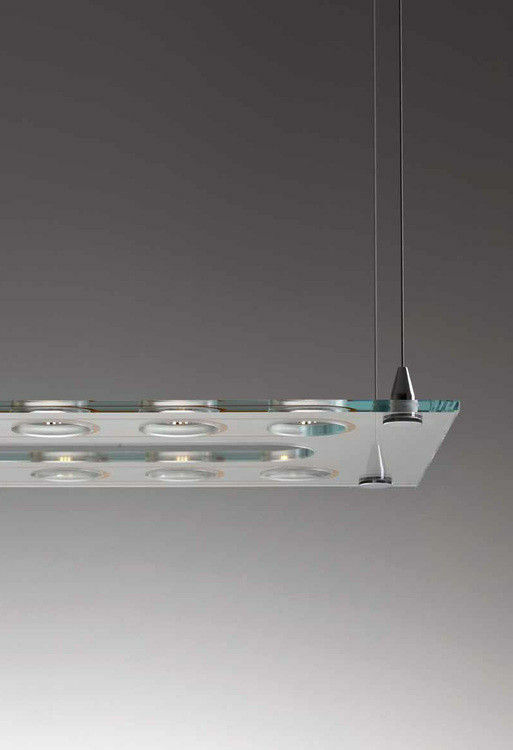 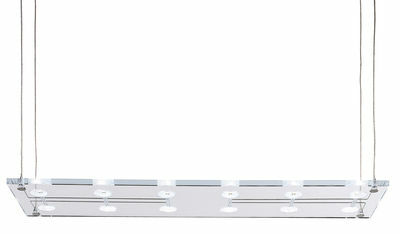 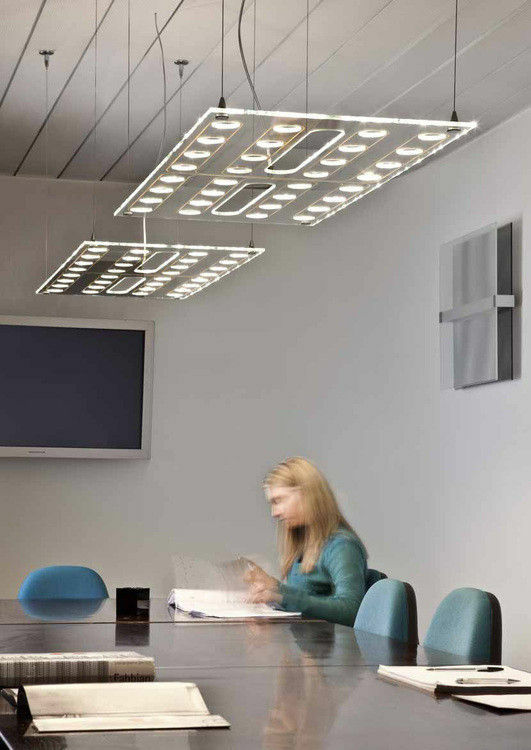 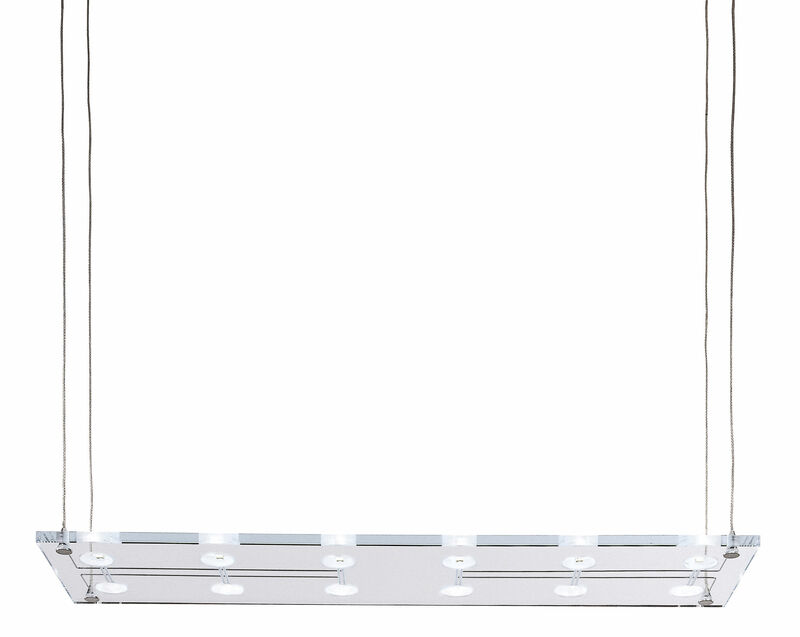 Vibrant suspension lamp made from a transparent extra-clear flat glass panel. 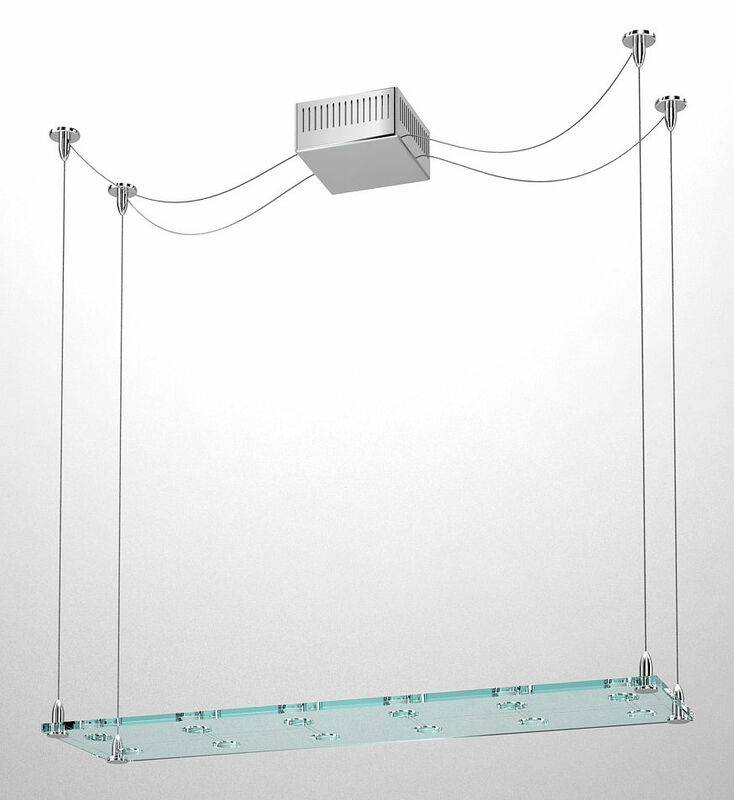 The 12V electrical circuit runs down the suspension cables and into channels cut into the glass forming a pattern of intersecting lines leading to the actual lighting points. 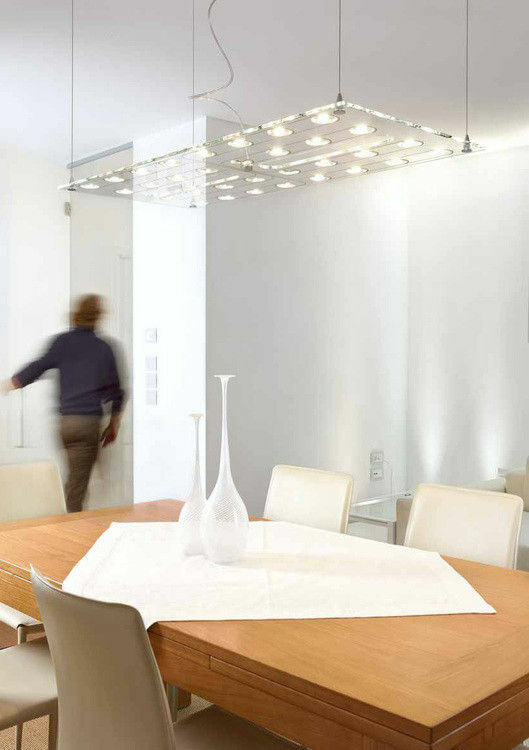 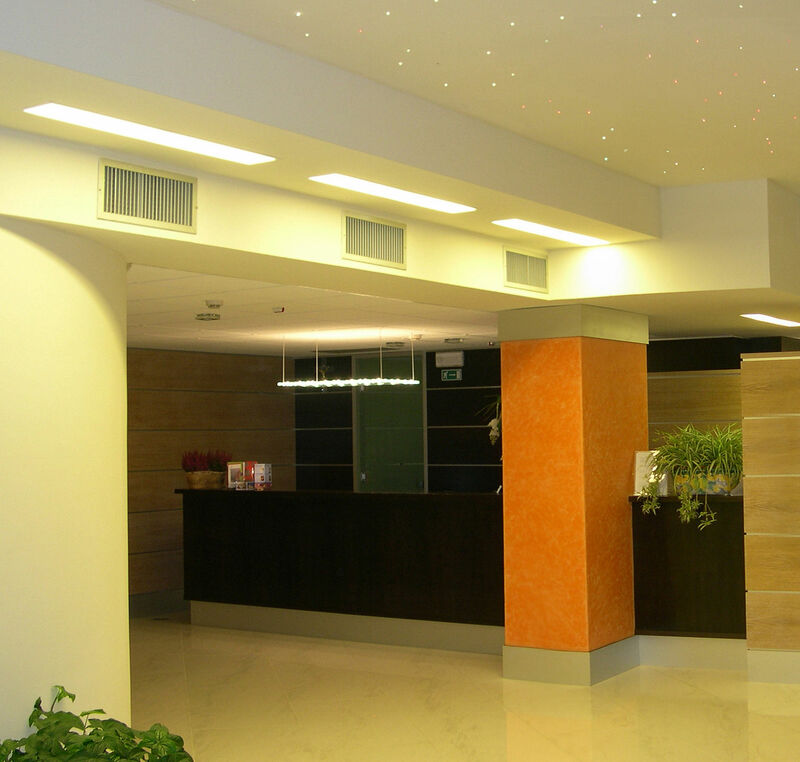 Uses (12) 20 watt 12V bipin lamps (not included) Designed by Paolo De Lucchi and Lisa Bellon.